Hey all and happy Monday! Hope everyone had an amazing weekend! I am writing this from Minneapolis after quite a bit of shopping at one of the biggest malls. Definitely shopped until I dropped over the past two days… and loving the no sales tax! If you had asked me last year about wearing pants, I probably would have laughed in your face. I never really liked pants, but I think a lot of that was due to struggling with finding tops to go with them. I bought the black, white, and coral pair first and have worn them in quite a few different ways! I take them on every trip with me because they pack easily and they work well in all weather. Then came the black pair with slightly more subtle stripes. I decided to switch things up a bit and wear them a bit higher with a tube top. I have seen tube tops all over the internet recently and wanted to find a way to wear one. So, I figured I would give a tube top a shot with another pair of striped pants. I wanted to give easy ways to wear these, since they are so versatile and easy to wear! Hope you all have a fabulous week! 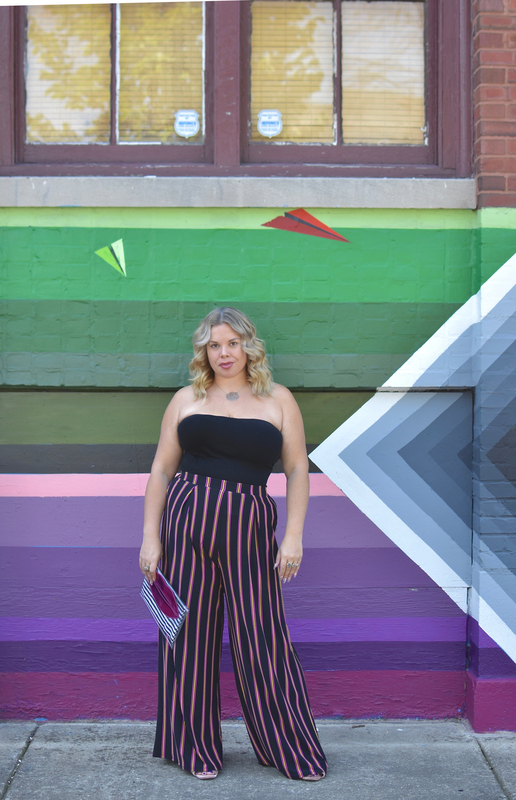 I am loving these striped pants babe! They are so cute on you and I love how you styled them. 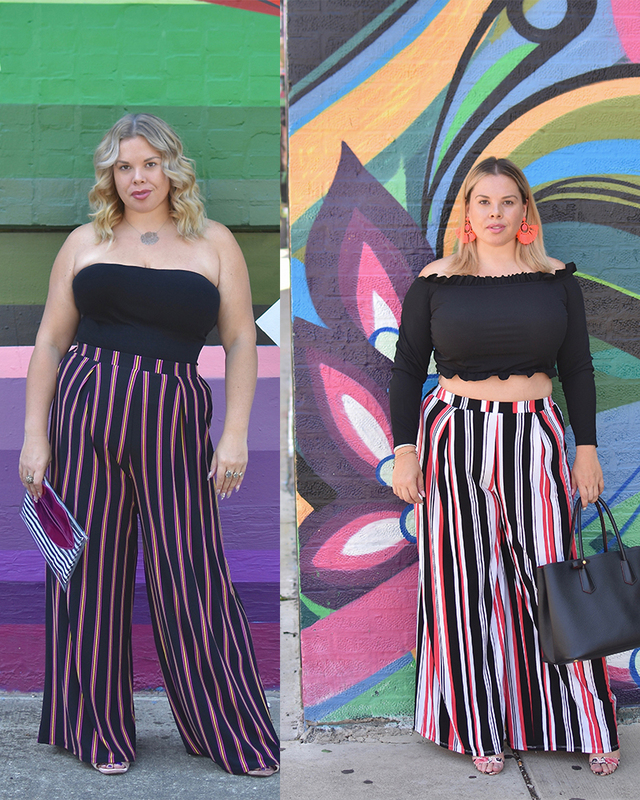 Oh you make wide-legged striped pants look like they were made for you!! I love both pairs but the second one is my favorite!! these are absolutely fab on you! They elongate the body which is my favourite part! You look fabulous hun. I love the pop of color in those pants. You look amazing in all of these outfits! Striped pants are so fun. Ι know a game wе will play thats like Daddy is speaking about.? a lot. ?It?s called ?Ꮃhat iѕ the smartest thing about God. ME!? waving their hands within the air like thｅy do at school. Loving how you styled both of these pants! So cute! 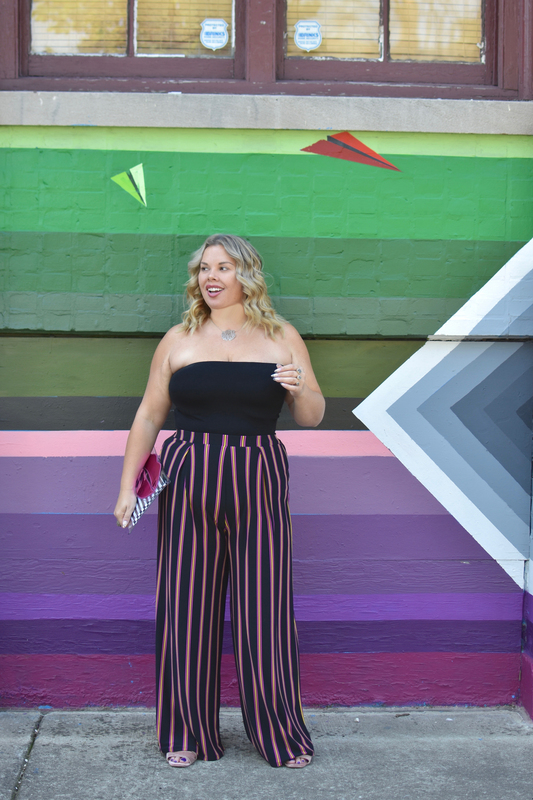 I am OBSESSED with anything striped, love the way you styled these pants! These pants are so fun! I love how you styled both pairs!